*Disclaimer - I received the product in this post from Shark in order to facilitate this review for my readers. This post has an affiliate link. 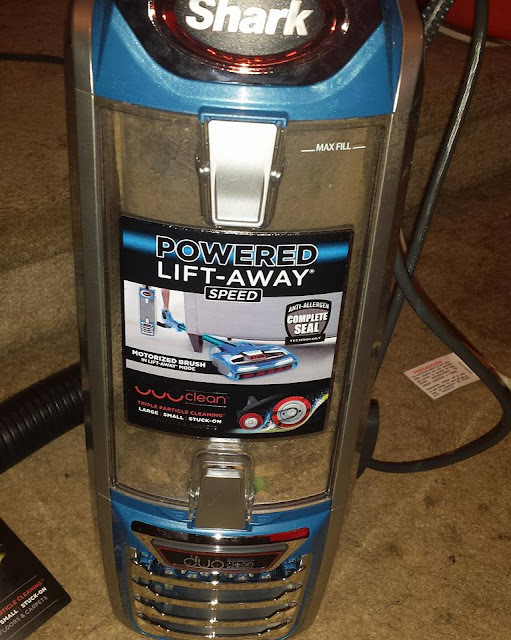 Are you needing a new vaccum cleaner that will do the job? I've been looking for a new vaccum cleaner, because we needed one that will bring up all of the cat hair that our two cats have sometimes, as well as other dirt and such that is on carpet floors. Well, I found the perfect one for our family to have. 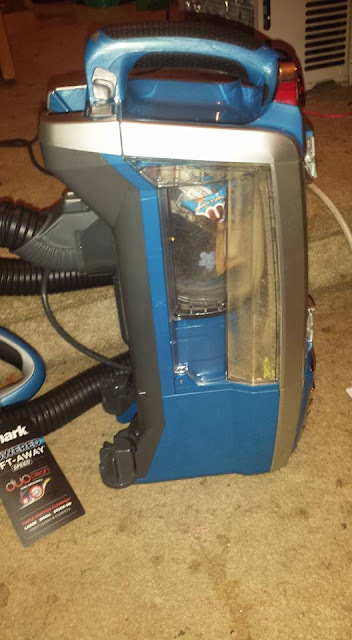 Shark is the best brand of vaccum that I have yet to own and try, and I absolutely love it. This is called the Shark Rotator Powered Lift-Away Speed vaccum and has some great suction to it! You can buy this vaccum on their website or go to Amazon and buy it HERE for just $259.99! This would make the perfect gift for any mom in your life. She will appreciate the suction of this vaccum as much as I do. This vaccum has been great so far and I've used it about 5 - 6 times so far since receiving it. 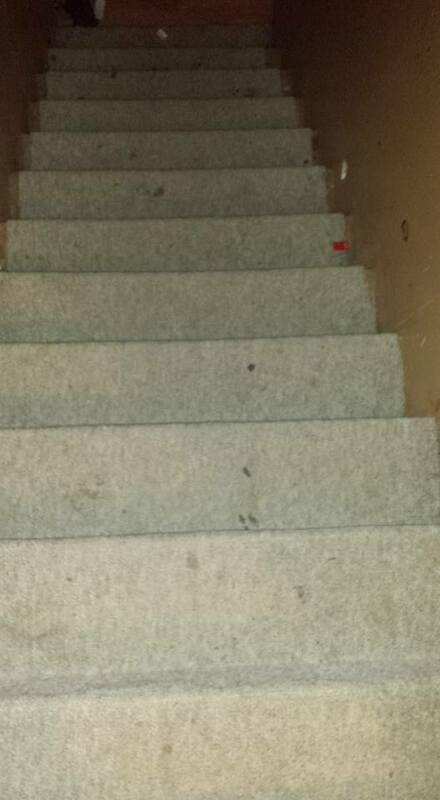 I like it best for when I vaccum our stairs especially, where there is cat hair, small cut up paper, and dirt throughout the week. Our steps are the main area I needed this vaccum for, but I also love to use it in the corners and crevices of our bedroom, where there needs cleaning done. It makes life so much easier as a mom of four and pet owner of two to be able to get cleaning done in a reasonable amount of time. I use the main hose and detach the main small canister part of the vaccum as I pictured above, to use. Yes, I actually am looking for a new vacuum! I haven't heard of this but it looks like it really does a good job. Will check it out. 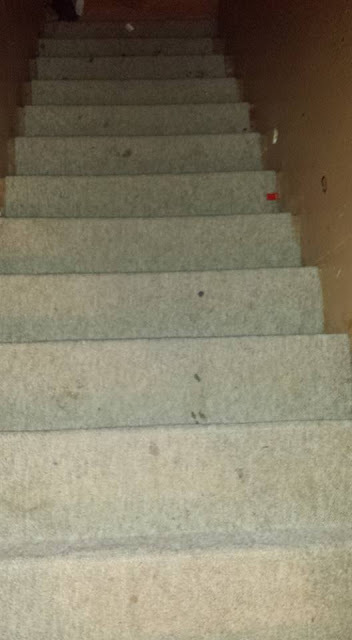 I need a vacuum for my stairs also and have only heard good things about the Shark. I'll check into this particular one. I see it's bagless and that is a plus for me too. This looks like a great vacuum cleaner. I like that you can detach it to do the stairs. I was just telling my husband the other day that we needed a new one. I need a new vacuum! This post is right on time. This looks like a good one. I actually need a new vacuum and I love Shark. Definitely checking this out! I have seven kids so Im alway smoking out for the next best vacuum! I like that's its detachable stairs are hard to vacuum! I've been looking for a new vacuum lately that's great for pet hair and this seems perfect. I'd like something that's easy to use in different areas of the house so I love that this detaches. I will have to check this one out. Thanks! I really need this. We have two stories and lots of little places for stuff to go!